Innsbruck, the Tyrolean capital, makes for both a perfect city break and a perfect ski break. Or, you could just explore grand Habsburg palaces one day and ski the next, in this relaxed and exceptionally beautiful city surrounded by spectacular mountains. 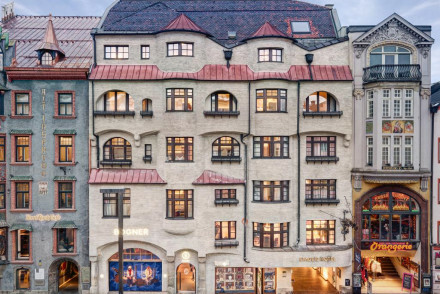 The best places to stay in Innsbruck depend on why you're here, but there's plenty of choice - from grand dame hotels, to city chic modern pads, to ski lodges. Innsbruck's medieval old town is fairytale perfection, with a grand Baroque cathedral, charming squares and the fancy palace. And the surrounding mountains, peaking at 2000m, help with the magical backdrop. In winter these are coated with a healthy layer of snow, but in summer they're fodder for cows with cowbells, whose milk probably goes into making delicious chocolate or something equally charming. All the main highlights of the old town are within an easy walking distance, but if you're staying for longer it's worth getting a grip of the local tram system. Because of its proximity to the slopes, Innsbruck is actually classed as the largest ski resort in the Austrian Alps. It's also twice been host to the Winter Olympics, so it's got pretty good facilities - including a spectacular, and famous ski jump - which also has its own cafe on top. The annual Ski Jump Contest is a really popular event here. This is a pretty big university town, which keeps the nightlife lively. You'll find there are more young visitors in winter and older visitors in summer. Be sure to visit the Schloss Ambras palace, beautiful on the outside, but also worth going inside - for the armour and the portrait collection. Around the palace you'll find several impressive churches; there's the St. Jacob Cathedral, the Hofkirche, (with its tomb of Emperor Maximilian I and various other emperors in bronze), as well as the Wiltener Basilika. The Hofburg, a 15th Century castle made over by Empress Maria Theresia in the 18th Century, and now a museum, is definitely worth visiting - it's another castle housing an impressive portrait collection. There's also an Alpinist Association Museum, an Anatomical Museum, and several museums about Innsbruck itself. Innsbruck also has Europe's highest zoo, specialising in alpine animals. 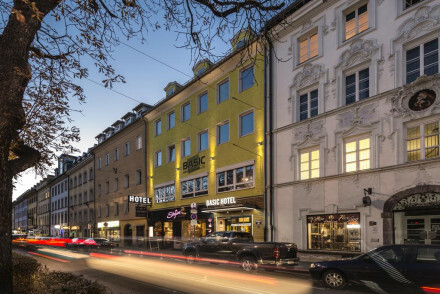 The town is a popular destination both in winter and summer, so if you want to guarantee a room in one of the best places to stay in Innsbruck, do your homework and book well ahead! Hotel Nala is a funky contemporary spot, boasting individually decorated rooms with lovely views of the mountains. Make the most out of its location in central Innsbruck to spend your days on the slopes or mountain biking around the area. The Grand Hotel Europa provides five star luxury, including a Michelin-starred restaurant, in elegant, traditional surrounds. It's even got its own casino. And you don't need to pay over the odds for a room, they start from £95 per night. The Penz offers modern and sophisticated decor, with two roof terraces offering incredible views and gourmet food, including fantastic breakfasts. 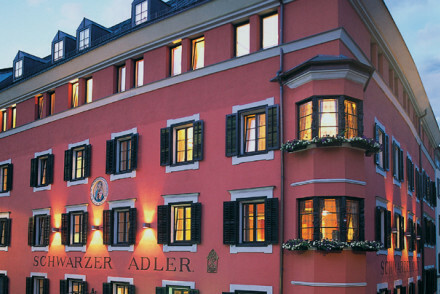 Schwarzer Adler, situated in Innsbruck's historic centre, is set in a 16th Century property and offers smart traditional accommodation. Enjoy lovely cuisine from the rooftop restaurant and unwind in the spa after a day on the slopes. Hotel Weisses Kreuz is located in the heart of town, boasting gorgeous rooms exuding charm - complete with exposed beams and antiques. Enjoy wonderful breakfasts before spending your days wandering around the town's sights. You can visit Innsbruck year-round depending on why you're going! The winter brings lots of fresh snow, (which is perfect for skiing), and temperatures that hover around 0°C or less. The ski season lasts roughly from late November to late April. If you fancy hiking or mountain biking then come visit in summer instead. July and August experience average temperatures of 19°C but it may be fairly busy at this time, so if you want to avoid fellow tourists then consider visiting in September - when the temperature's still roughly 16°C or so. International visitors can fly into Innsbruck Airport, served by a number of direct flights from most major European cities. There are flights from London year-round as well as from Edinburgh and Dublin in the winter. The journey time is roughly two hours. From the airport, take bus line F towards the city centre which gets you there in just ten minutes. Browse though our list of all the best places to stay in Innsbruck. Expand your search to nearby Seefeld, Axamer Lizum or Neustift. 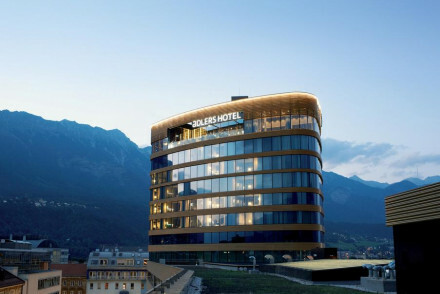 Funky, contemporary and modern hotel in Austria's skiing capital Innsbruck. Rooms comfortable, spacious, individually decorated and some have balconies and kitchen facilities. With a gym, ski storage, restaurant, bar. Eco-friendly with great views to the Tyrolean mountains. Good value. 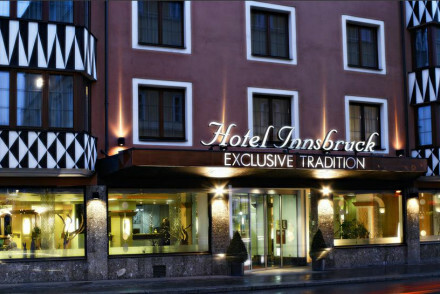 Overlooking the Inn River, Hotel Innsbruck is a smart, contemporary hotel. Boasting superb spa facilities, comfortable rooms and a good dining options. It is superbly positioned for exploring Tirol's capital. Sights nearby - Innsbruck's famous Golden Roof is two minutes walk away. 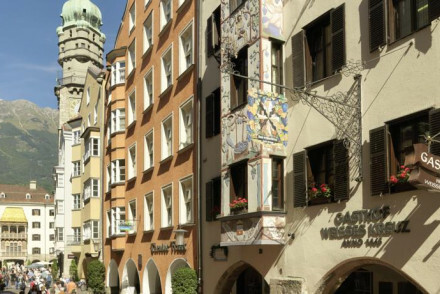 In picturesque "Old Town" this 16th century property is close to the attractions of Innsbruck. A rooftop restaurant serves seasonal cuisine and features a cable car dining experience. Light filled rooms are furnished with pine furniture, fireplaces and huge modern bathrooms. There is also a spa. Local exploring - Innsbruck's Old Town's attractions are on the doorstep as is the train station should you wish to explore further afield. Skiing - In the winter months Innsbruck has access to some of the best slopes in Austria. Local markets - As well as Easter and Christmas markets there are year round covered markets selling gifts and trinkets. 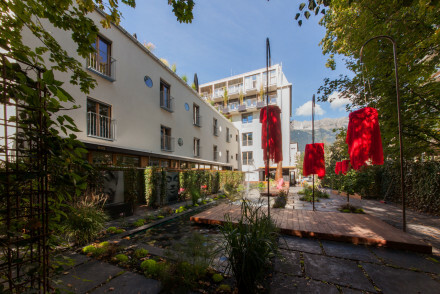 A historic townhouse in the heart of Innsbruck. Exuding character throughout; think beamed ceilings, exposed stonework and antique furniture. Rooms are well proportioned and boast wonderfully comfortable beds. Dine on indulgent breakfasts before heading out to explore the city. Totally charming. Local exploring - Centrally located in the pedestrianised area of Innsbruck with many of its major attractions within walking distance. Sights nearby - Numerous historical sights to be visited including St Anna's Column and the Cathedral St. Jacob. Great walks - The Imperial Palace Innsbruck is just a short walk from the hotel. Five Star luxury and Michelin award-winning cuisine. Rooms and suites blend contemporary comforts and elegant tradition. Beautiful restaurant setting and a casino. Italian design throughout. A sumptuous spot for the luxury traveller. A chic hotel with on point design and reasonable rates. Accommodation ranging from single to triple rooms are uniformly styled with wooden floors, crisp white linen and a burst of colour coming from one yellow wall. Friendly staff are here to advise on all things Innsbruck from culture to adventure. Value chic - A well designed property with great access to the city centre. Sights nearby - Located a few minutes’ stroll from the Goldenes Dachl - Golden Roof. Nestled within the Austrian Alps, Stage 12 offers its guests an effortless mix of modern comfort and urban design. The smartly styled rooms range from singles to triples and offer scenic mountain views. Centrally-located and with a restaurant and spa, Stage 12 is a chic Alpine choice. Chic, gourmet, and highly sophisticated. A contemporary style hotel with large sleek rooms and suites, two lively roof terraces, and fantastic breakfasts to top it all off. A trendy spot for couples. Roof terrace - Two fabulous roof terraces. 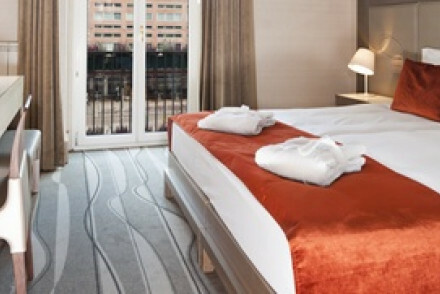 A contemporary hotel boasting fantastic views across the city. Spacious rooms are light and airy with floor to ceiling windows, soft grey hues and indulgent bathrooms. The European restaurant offers a wide range of choice and the Panorama Terrace is a trendy spot for an evening tipple. City Style - A chic city hotel with panoramic views and an atmospheric rooftop bar. Great walks - Stroll through the historic streets of the Old Town where some buildings date back 500 years. Sights nearby - Marvel at the striking architecture of the Ambras Castle.